Coyote hunting is quite common in North America as hunters seek to catch the coyote for the use of its fur. The animal is dog-like, omnivorous, and smaller than a wolf as it weighs up to 50 pounds. The coyote is one that can become problematic in urbanized areas, as they are known to attack and kill livestock. Unlike deer or other wild animals, the coyote can become a pest or nuisance so there are very few limitations in place regarding the actual hunting of them. Of those limitations that do exist, it is your job to find out what the laws are in your area regarding the hunting of coyotes and it is also your responsibility to abide by them. When hunting coyotes you are always encouraged to behave responsibly and to hunt the animal ethically. To that end, if you follow the coyote hunting tips here you can assure safe and easy hunt. 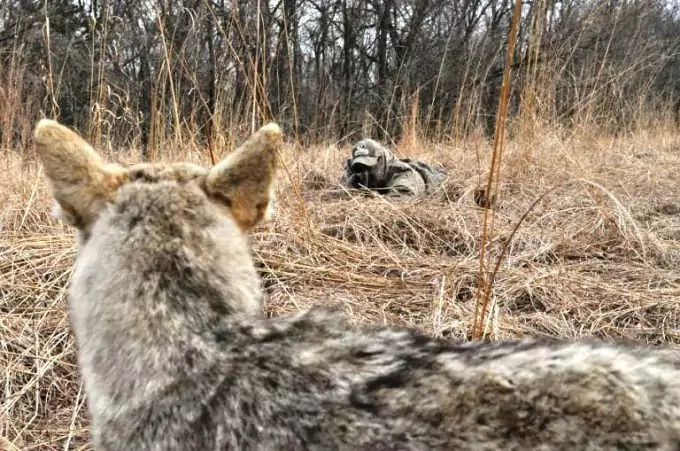 When you want to learn how to hunt coyotes, you will need to learn all the steps it takes to prepare for the actual hunt. If you have never hunted before you may be surprised to how much planning goes into hunting for ever stepping foot in the wild. 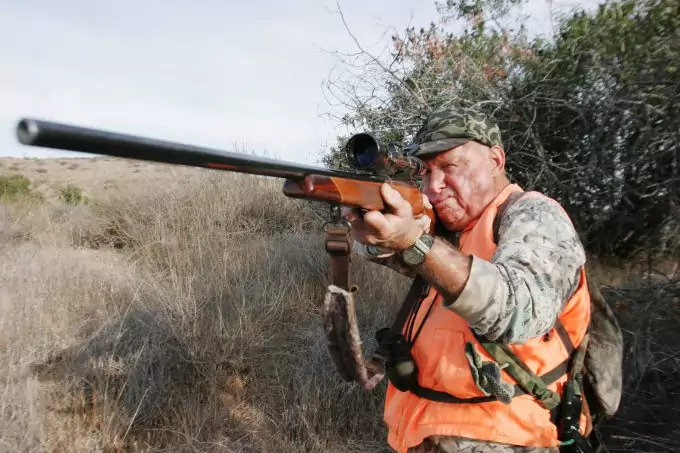 First, you’ll have to learn the regulations for hunting in your city and state; you will need a hunting license and you may have to take hunting courses before you can qualify for the license. It is important to remember that laws regarding the hunting of coyotes will vary from state to state. Such laws typically define the appropriate time to hunt and potential restrictions on weapons or the number of kills you can take. 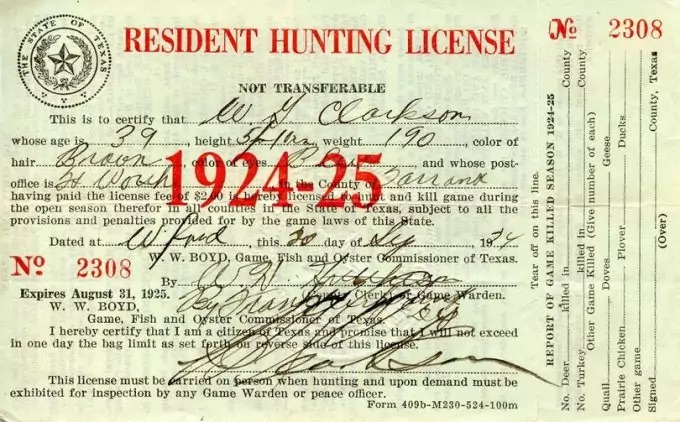 Take a look at our tips on how to get a hunting license for more information. For instance, from July 15 through April 15 in Michigan, you can hunt a coyote only when you are using a predator or game call. 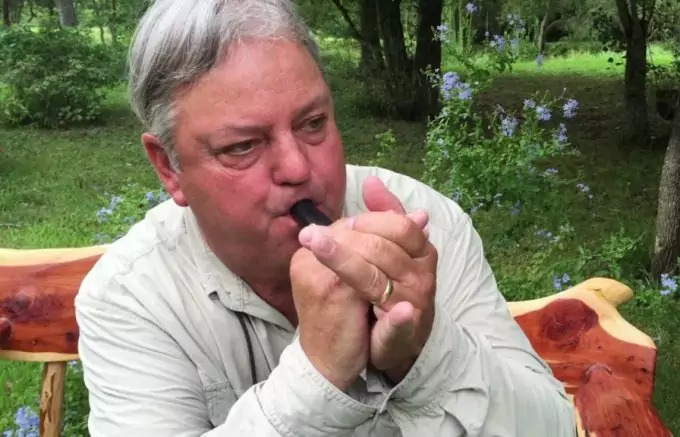 See our article on how to choose the best predator call to give you more information. 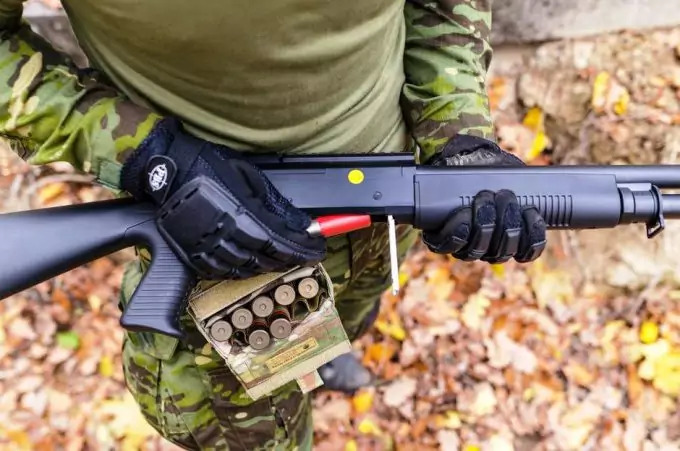 If using the call, your arrow can be nocked (ready for draw) or your firearm loaded. During daytime hours, you can use a centerfire rifle for the hunt while in a shotgun zone. In contrast, September 15 through October 14, you can kill a coyote on private land if it is an act of pest control. Hunting regulations will also define where you can hunt, what zone hunting is appropriate in, and the time of day hunters can hunt for coyotes. Failure to adhere to established regulations can result in significant fines and other legal ramifications. If in doubt about which locations are safe and legal or hunting, visit the U.S. Fish and Wildlife Service’s online hunting site locator, which allows you to search by state, zip code, and type of game. If you have trouble finding information about hunting laws in your area, contact your local Department of Environmental Conservation for more information. Getting ready for the hunt is an exciting Gout the animal’s typical behaviors, habitat, and typical locations where you will find the animal. The coyote is common all through Central and North America. They are social animals and tend to run in packs, but you can also find the out in the wild alone. The typical habitats of a coyote are usually in the wild but there are certain cities dealing with the encroachment of coyotes as they move closer and closer to urbanized areas. Note: No matter what area you choose, tell someone where you will be hunting just to be safe. Bring a water source and food with you and make sure you bring extra of both. If you end up injured, lost or in an emergency situation, you will have enough to hold you over until help arrives. Make sure you bring foods that can last without refrigeration and that can provide you with plenty of protein including jerk, seeds, nuts, granola, and trail mix. 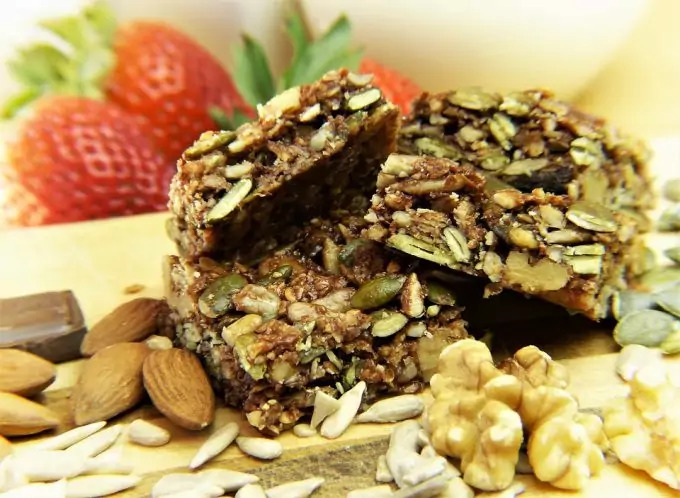 Check out our list of the top energy bars for more options. In lei of bringing water, at least bring a Lifestraw with you so you can filter a water source for drinking. Bring a bag with you on your excursion so you can tote everything you need with you and with ease. Add your food water, a first aid kit that can provide you with emergency materials if you should need them, and pack matches, a lighter, or another means for starting a fire. Bring some kindling as well (drier lint works perfectly) and keep it all in a plastic bag for safe keeping. Your weapon will be defined by local regulations. In many cases you can hunt with a shotgun, like a 12-gauge, or a .22 caliber rifle where allowed. Sometimes you can hunt with a bow and arrow as well. Make sure you have a weapon that is in good working order and enough ammunition. In addition to the traditional hunting equipment, including your weapon, ammo, compass, flashlight, knife, fire starter, first aid kit, hunting attire and other hunting paraphernalia, there are some extra gear items you can use to make the hunt for coyote more successful. Binoculars: Bushnell manufactures Roof Prism binoculars that are both fog and waterproof. Priced at a cost between $75.90 and $254.89 depending on whether you buy the 8 x 42mm or 10x42mm set. The binoculars are nitrogen purged and are o-ring sealed so you never have to worry about fog blocking your view. The eye relief is comfortable and measures 17mm. You get 10 times magnification and a 42mm objective diameter. Decoy: There are lots of decoys you can buy that will work well in attracting coyote. One such item is the MOJO Puppy Dog Decoy. Mojo Outdoors manufacturers the decoy. The unit costs between $32.20 and $49.99. The decoy looks like a small dog in distress and it makes sounds that will draw coyote to it. The tail on the decoy also moves and the unit is powered by four double A batteries. Bait: Mark and June’s Canine Candy is one of many forms of bait you can use to attract coyotes. The candy sweet lure is a good alternative for the hunter who normally uses gland based lures. The sweet lure might help in making the animal less suspicious. The Canine Candy lure is good in all areas in cold or warm weather conditions. Wind Checker: Coyotes have highly sensitive sense of smell, so covering up your own scent is essential to a successful hunt. You will find a product like Primos Wind Checker affordable as an option for scent control. 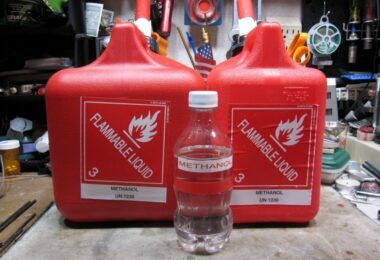 Priced between $3.39 and $5.17, the product is a small price to pay for a successful coyote hunt. Whether you hunt alone or you enter the woods with a hunting party, you are going to have to settle down in your hunting spot quickly. The sooner you do, the sooner you can sit and become quiet. Coyotes have exceptional vision and hearing and if they are not use to the presence of humans they will likely keep their distance when you arrive. You should keep as quiet as possible from the moment you arrive at your hunting destination. For the bow and arrow hunter, make use of sound dampening tools to help keep your shot as quiet as possible. It is impossible to make a shot that is perfectly silent, but you can control a lot of the vibration when the arrow is released by making use of high quality sound dampening equipment. When you arrive at the site, unpack the vehicle quickly and quietly. Close all doors and/or the trunk of the vehicle very quietly so you do not spook coyotes nearby. When using a gun, make sure you do not bang the weapon on anything. When hunting with others keep talking to a minimum and when you do talk do so in hushed voices only. Make sure you have scent blocker on: If you have not applied it before reaching your hunting location, then put it on once you get to your spot. If at all possible, try to make a point of heading to your hunting spot while downwind so your scent does not travel. Settle into your location and remain quiet. You should sit in silence for at least 15 minutes before you make an effort in attracting coyotes to you through the use of a call mechanism. The ICOtec GC300 is an electronic game call device. The unit costs between $46.41 and $79.99. 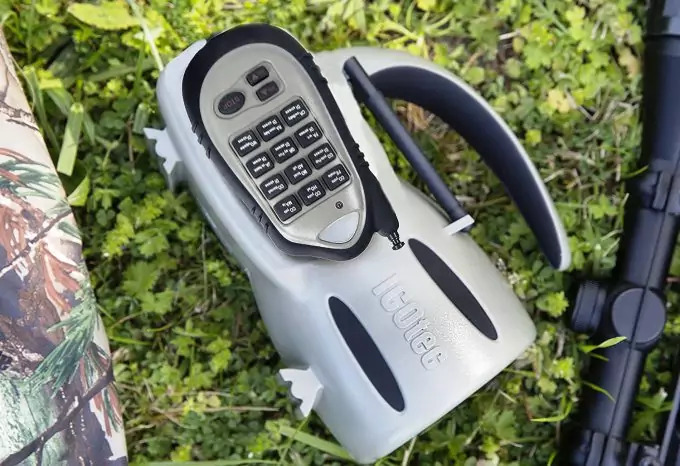 The call is made of plastic, and it makes up to 12 different animal calls. The unit comes with a remote control that controls the volume of the device. Knight and Hale make the Cottontail Predator Distress Call and the unit costs between $5.52 and $14.00. It measures 7.8 inches by 3.8 inches by 1.5 inches and weighs about 1.6 ounces so it is light and portable. The unit makes calls for foxes, bobcats, and coyotes. Reed locks into place thanks to the redesigned sound board, reed, and wedge. Knight and Hale also make the Heckl’n Howler Coyote Call; the unit costs between $10.75 and $19.99. The unit is so easy to use; the hunter only needs to blow air into the blasting chamber to make it work. It measures two inches by four inches by 13 inches and weighs 0.8 ounces. Every hunter, whether a neophyte or an adept, can benefit from a few coyote hunting tips. Hunting is a process requiring training and skill and with more experience the better you become. With some sound advice, you can add such tidbits to your arsenal of hunting knowledge and improve the likelihood of that all-important kill. Below we listed a few basic tips to make the hunt easier. When hunting coyote is it a good idea to always keep the sun at your back. With the Sun in the backdrop it will make it far more difficult for the coyote to spot you because the animal will have trouble seeing when looking in the direction of the Sun. This is even truer if there is fresh snow on the ground, which reflects the sunlight. The only time this technique will prove a negative is if you are skylined. When your body is easily seen against the skyline, a coyote can spot you with too much ease and this will hinder your hunt. When moving to your hunting spot do it slowly and make as little noise as possible. Keep your gestures fast and short. Brevity is key. Once you get to your spot do all you can to make no movements until you are ready to either draw your weapon or make a call. Just as you should close the doors and trunk area quietly upon your arrival, you can benefit from actually hiding your vehicle a distance from your hunting destination. It is better to have the coyotes see nothing out of the ordinary than the high gloss and sun reflecting off your vehicle’s exterior. If you opt to park a distance from your hunting destination and walk in on foot, you can make far less noise upon entry into the hot hunting area. No matter what kind of animal you are hunting, if you are a good hunter you will make every effort to make the ethical shot. What is the ethical shot? It is when you make a kill shot on the first try. This prevents the animal from having to suffer unnecessarily. The ethical kill is also beneficial to you when you plan on skinning the coyote for the fur coat. One bullet or arrow hole makes a lot less damage than two, three, four or five strikes. 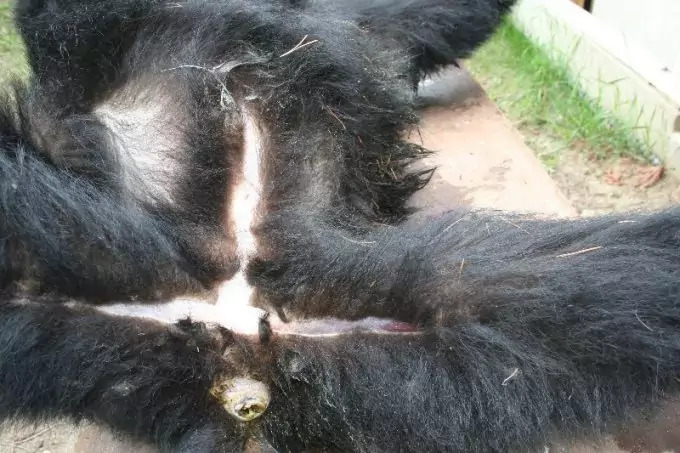 What’s more, when you are successful on the first try, you do not have to worry about having to follow a blood trail for miles only to end up losing the animal, the kill, and the pelt you were hunting for in the first place. When making an ethical kill you will take aim at vital organs such as the animal’s lungs or heart. When hunting a coyote you are going to aim more forward in the animal’s torso. The coyote’s heart is positioned inside the small torso and slightly forward when compared to the coyote’s forelegs. In contrast, the animal’s lungs are just behind and above the heart: A bullet or broad head shot to this triangular area in the front of the coyote is likely to end in a single kill shot. 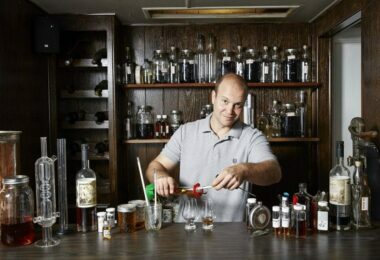 Once you have made your shot you will need to ascertain if the animal is dead or not. Take considerable care when you walk up on a wounded coyote as it may not be dead yet. Look to see if the animal is making any movement or breathing. If the animal is still alive, your next step is to put the animal out of its suffering by finishing the kill. 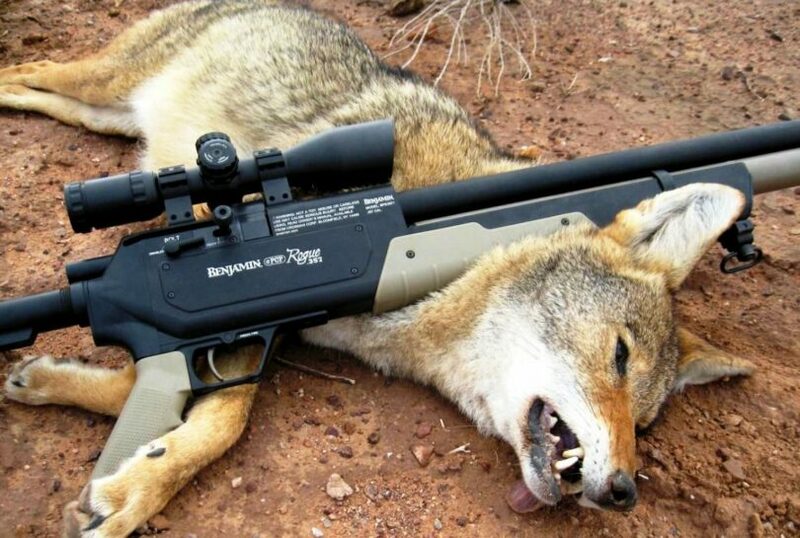 You can either cut the coyote’s throat if it is safe to do so and you know what you are doing or you can unload a single shot into the head of the animal. Once you have made the successful kill, you need to field dress your kill immediately after. The longer the kill sits the greater the likelihood it will draw bacteria. By acting immediately, you make it far easier to preserve your kill. The skinning process should happen quickly to ensure the quality of the pelt. If you are hunting during the winter time the cold weather is working in your favor as it will slow down the decomposition process. 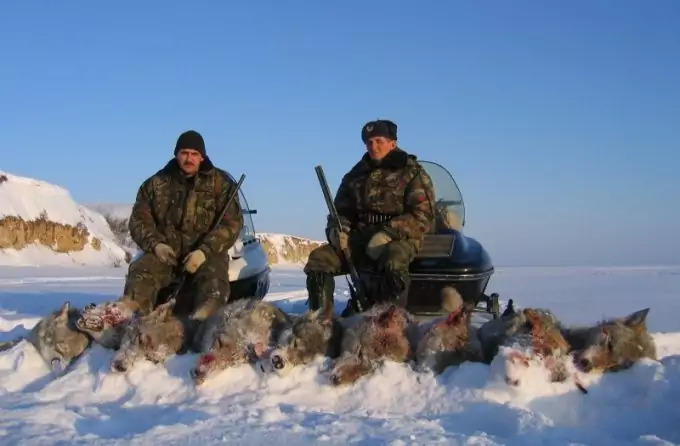 When you are field dressing other animals you will gut it, pulling out all of its internal organs, but when hunting coyote a lot of hunters simply get right to the skinning of the animal and leave the remainder of the carcass for disposal. There are two ways of skinning a coyote, the classic way with a knife and the modern way by using an air compressor to separate the skin from the coyote’s body. It is easier if the coyote is hung upside down if you are going to skin it in the classic manner. The fur is cut around each ankle and the hunter makes a slit from the coyote’s bottom and up to back of each leg to the section where the ankle is cut. Once this is cut, the fur can be pulled off the body slowly until it is completely removed. Other hunters prefer to make a small slit in each ankle and to use an air compressor to blow air into the coyote. The pressurized air forces the skin to separate from the flesh of the coyote. The skin is then pulled off with considerable ease. Once this process is complete the coyote skin is boarded and stretched so it can have time to dry out naturally. The remainder of the prey is disposed of as soon as possible so it does not attract bacteria, start to smell or draw wild animals. 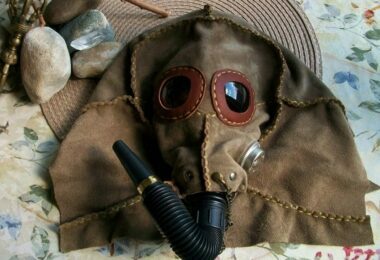 When coyote hunting in North America it pays to be fully prepared for the task that lies ahead. 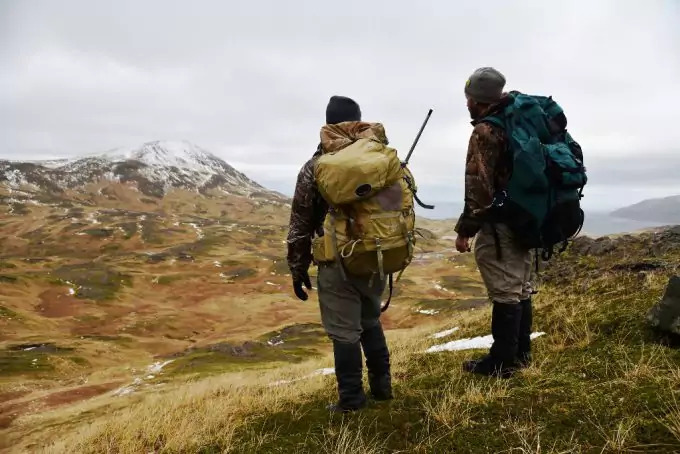 The whole hunting excursion is a lot more fun when you know what you are bringing, how to scout your prey, and how you will take the prey down once you encounter it in the hunting setting. Coyotes have fewer restrictions on them as far as how many you can kill and how often you can hunt. This makes the coyote an animal that is well hunted and coveted for its fur. As long as you follow local laws when it comes to hunting the coyote in your state, you will find that coyote hunting can be rewarding, exciting, fun and challenging. Remember, they do not call the coyote the trickster for nothing: You need to be ready for the coyote and to keep your eyes open. You never know when the coyote may enter the perimeter of your hunting spot. Before you leave, check out our piece on the top 10 handguns for more options.